Tom Stiglich provokes a letter. 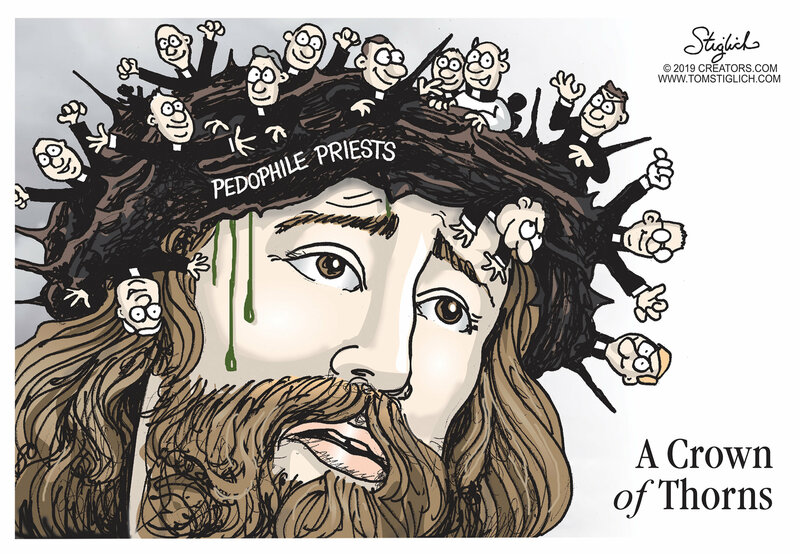 Why does the cartoonist feel Christ should be wearing a crown with those guilty of such disgusting criminal behavior? 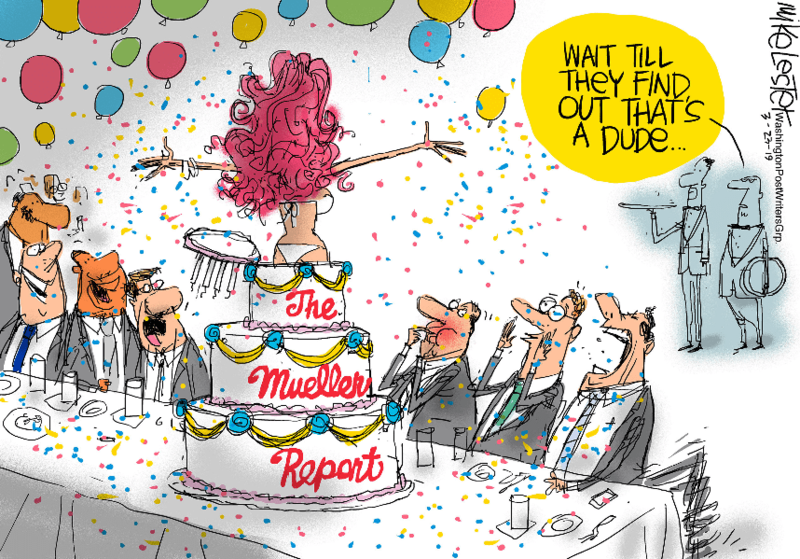 The Mueller Report cartoon by Mike Lester is being called transphobic on digital news and social media sites. …political analysts and cartoonists have weighed in on the [Mueller Report]. And some hot takes are better than others. The Daily Dot, not happy with Mike’s conservative slant on events, digs into him and his syndicate, the Washington Post Writers Group, and, by association, The Washington Post. 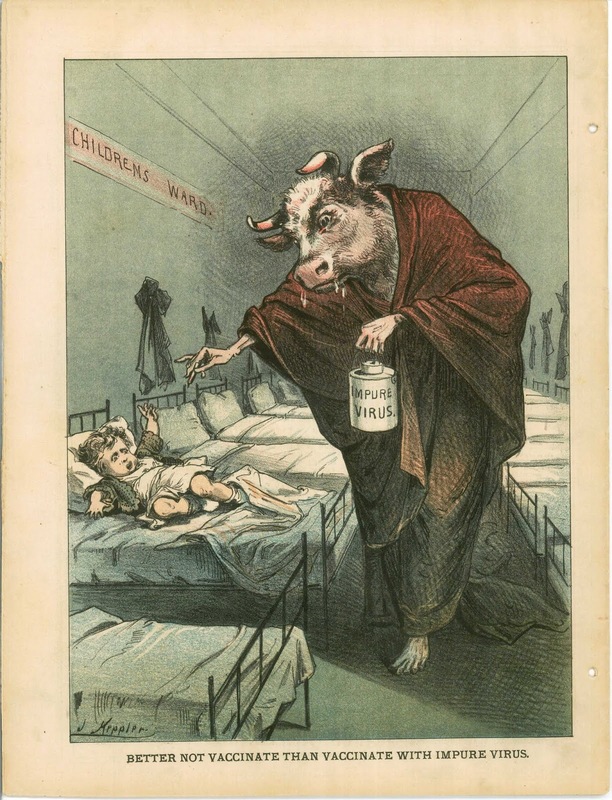 Post’s embedded audience editor Gene Park thanked users for “sounding off on this offensive piece.” He also stressed that Lester is not an employee with the Post, and that the publication “[does] NOT run Mike Lester’s cartoons” in the paper. The Washington Post’s director of communications, Shani George, responded…in an email to the Daily Dot. George confirmed Mike Lester’s cartoon was syndicated by the Washington Post Writers Group and did not run in the Post. I know some are not appreciative of award shows (hi Mike), and even I think the regional award programs are a bit much. But when a long-time favorite gets a nomination I gotta give a fist bump. Another local cartoonist, but David Willson doesn’t get the praise I afforded Crabb. 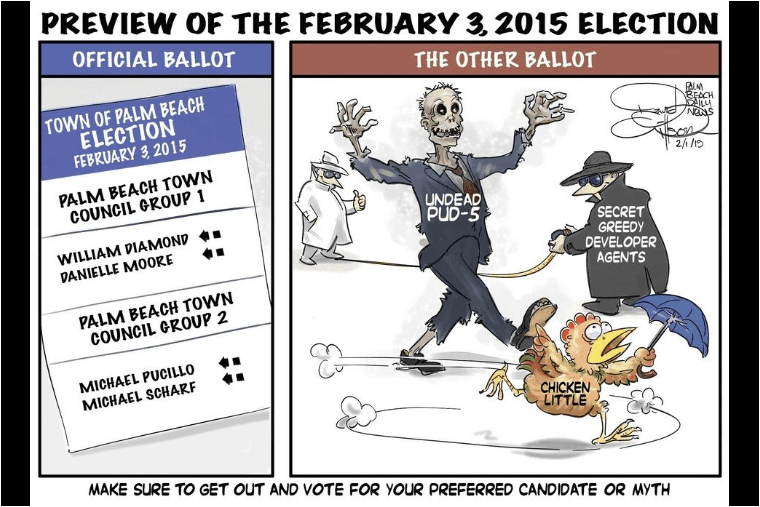 The Palm Beach Daily News does a disservice to its readership by giving cartoonist David Willson unbridled rein on its Sunday editorial page [March 17, 2019 edition]. 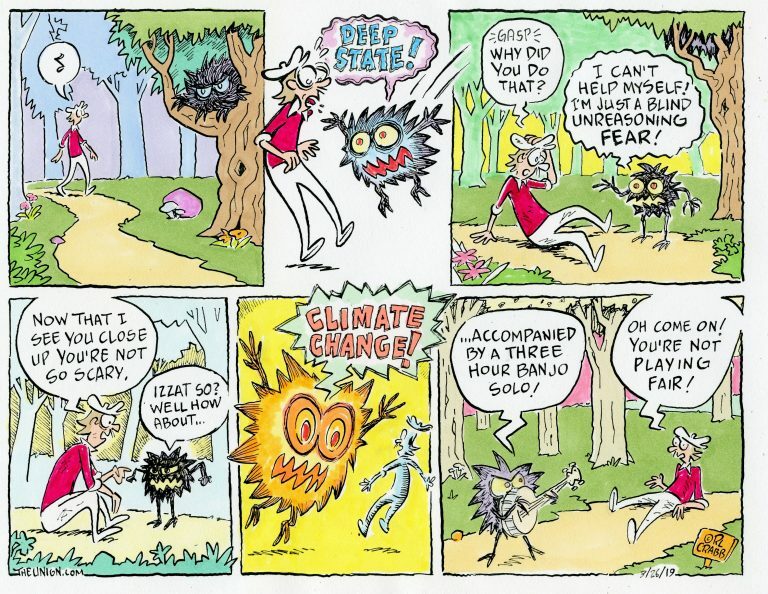 His 475-word opinion piece criticizing President Trump clumsily references Chicken Little’s “the sky is falling” phrase as justification for also dredging up a 2015 town election cartoon. But this letter has a bone to pick with those cartoonists who also write columns. I’m not addressing Willson’s criticism of Mr. Trump. I’m suggesting Mr. Willson shouldn’t continue to textually opine as filler whenever there are no letters to the editor. He’s a cartoonist. Let him be “seen” but not heard. 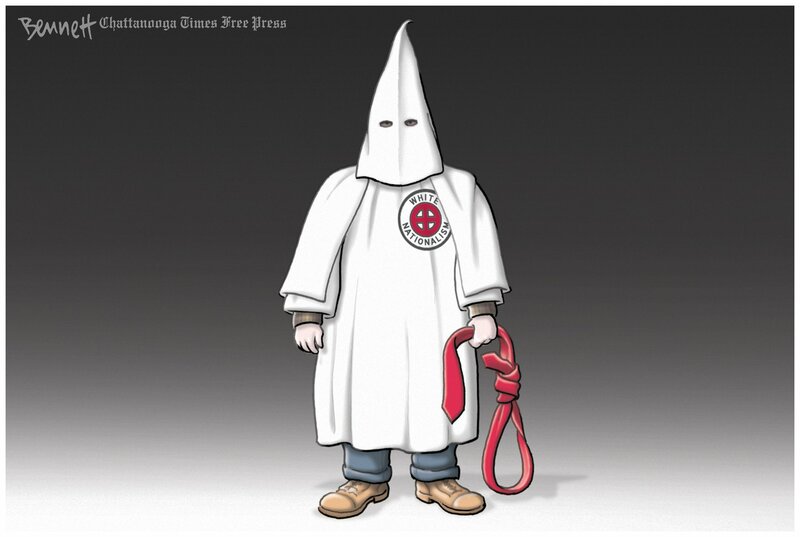 Mike Peterson, in his column today, mentioned the above Clay Bennett cartoon. On March 28, @facebook summarily deleted a week-old editorial cartoon by @PulitzerPrizes-winning political cartoonist Clay Bennett @BennettCartoons, and then warned him his complaint about the deletion had violated the site’s community standards & deleted THAT. The AAEC spread the news via its Facebook and Twitter sites. I have to believe that The Rejection Upon Review was done by a non-AI entity. 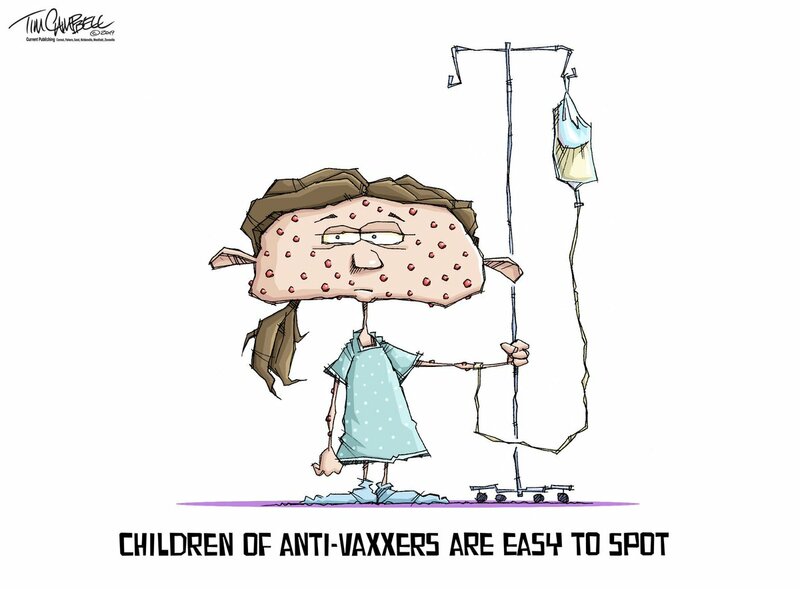 So far This cartoon has gotten over 700 hateful comments from anti-vaxxers including threats to my family and insults towards my dead mother. Yeah, you’ve convinced me about what a caring group of people you are. 27 queries in 0.217 seconds.